Chris was born and raised in the Village of Wappingers Falls. He attended Our Lady of Lourdes High school. After receiving a Bachelor of Science degree in Biology at the University of Notre Dame 1988, he went on to receive his physical therapy degree at the State University of Stony Brook in 1990. He received his Doctorate of Physical Therapy from Utica College in 2015. He is founder and managing-partner for the Center for Physical Therapy since 1993. Chris works very closely with the local athletes and is partially responsible for placing athletic trainers at the high schools. He has given lectures on orthopedic injuries and given preventative techniques to many of the local clubs. Chris coordinates the teaching program, acting as clinical supervisor to physical therapy students from ten different colleges/universities. He is known for his sound advice and his willingness to accommodate sports injuries. One can frequently find Chris and his family boating, hiking or biking outdoors. Lynn was born and raised in Sayville, NY on Long Island. She received her physical therapy degree from the State University at Stony Brook in 1990. She received her Doctorate of Physical Therapy from Utica College in 2015. She has devoted her career to children with disabilities and has work experience with the Association for Children with Learning Disabilities, Kapiolani’s Women and Children’s Hospital, and Rehabilitation Programs Inc. She is a founder, partner and director of pediatrics at the Center for Physical Therapy. Lynn’s trademark includes a true caring for the child and their family. She spends a considerable amount of time teaching the family members carryover of physical therapy at home. Lynn is a mother of four and has a passion for running. 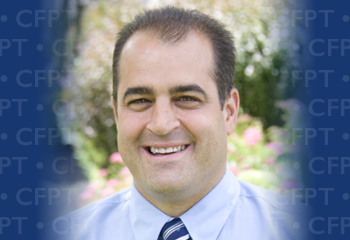 Tod is a graduate of UMDNJ/ Kean College with a Bachelor of Science degree in Physical Therapy. He also received a B.S. degree in Physical Education from SUNY Cortland. Tod has worked in the field of Physical Therapy for more than 20 years. Tod has the craft of delving into his work and inventing new ways of rehabilitating sports injuries. He is a founder of the Center for Physical Therapy. Tod lectures to businesses about ergonomics to help them create a safer work environment to employees. He is an avid Jets fan and enjoys taking part in any sport. Sherri grew up on the North Shore of Massachusetts. She graduated from Saint Anselm College in New Hampshire with a BA in Mathematics. Sherri spent more than a decade in retail management, finally serving as a multi-store supervisor for a national specialty store chain. During those years, she relocated to the beautiful Hudson Valley. Sherri changed careers, focusing on Customer Service and Accounts Receivable for a bindery service operated in Hopewell Junction. Sherri joined Center For Physical Therapy in 2002 as a Accounts Receivable Specialist and was promoted to Office Manager in 2004. She enjoys riding her bicycles, hiking, practicing yoga, sewing and cooking, and during the winter months, she’s learning to cross-country ski with her husband. Sherri is a member of both the Mid Hudson Bicycle Club and the Hudson Valley Velo Club. Lisa grew up in Red Oaks Mill and graduated from Roy C Ketcham High School. Being involved in gymnastics as a child, she knew she wanted to focus on fitness as a career. At 24 years old Lisa started instructing fitness classes in many local health clubs and schools. After being a patient at the office, Lisa knew she had knowledge and passion in the field. She joined the team at Center for Physical Therapy in 2005 and since then has become the fitness and exercise plan coordinator. She enjoys being on the beach, yoga, and Pilates. Lisa recently became a certified yoga instructor and is currently advancing her Pilates certification. Joseph was raised in Beacon, NY for most of his life with a short hiatus in port St Lucie, FL. Joe received his Bachelors of Science degree in biology from Mount St. Mary College. In 2007, he completed his Doctorate of Physical Therapy from New York Medical College. Joe’s focus is in orthopedics and sports rehabilitation. While at MSMC, Joe played four years of varsity soccer. He continues to play various sports in the Hudson Valley including soccer, softball, and basketball. Joe is married to his high school sweetheart, Heather, since 2008. They have two beautiful daughters Callie and Delanie, and a pug named Bella. Bryan D. Kellogg, PT, D.P.T. Bryan has been a resident of Wappinger Falls all his life and is a graduate of Roy C. Ketcham High School. He graduated from SUNY Oneonta in 2011 with a Bachelor of Science in Biology. He further continued his studies at Sage Graduate School and graduated in 2014 with a Doctorate of Physical Therapy. He has a strong background in manual therapy involving techniques including fascial manipulation, trigger point therapy and deep tissue massage. He finds motivation and gains satisfaction in seeing his patient’s progress in function and their ability to return to the activities they enjoy. Bryan continues to research new ways to make rehab creative, challenging and enjoyable. He has a wide range of interests and experience working with a diverse population from high school athletes to the geriatric population. Bryan enjoys spending time outdoors hiking, skiing, snowshoeing, exercising with his dog Stella and watching the Jets. Christian joined Center for Physical Therapy in 2014. He was originally born in New Rochelle, NY but moved to Portugal at a young age before returning to his roots in 2013. Christian graduated from Universidade Fernando Pessoa in Porto, Portugal in 2011. He has primarily been involved in orthopedic and sports physical therapy since graduating and is fulfilled when returning athletes to the field again. Christian is a long time soccer player and sports enthusiast. Now a Fishkill, NY resident he can be found enjoying the community or suffering for the Rangers at home. Alex graduated from the University at Buffalo with a Doctorates in Physical Therapy in 2016. As an undergraduate he studied exercise science, where he was an active participant in a variety of research studies and athletic programs. After spending seven years in Buffalo he was ready to return home to the Hudson Valley to join theCenter for Physical Therapy, where he worked and studied as a student. Alex spends his free time hiking and playing pick-up soccer games in his hometown of Newburgh. Mary-Kate is a 2016 graduate of Stony Brook - Southampton University where she received her Doctorate of Physical Therapy degree. She also completed her BS degree in Health Sciences, with a concentration in Disability Studies at Stony Brook University in 2013. Mary-Kate has been in and out of the Center for Physical Therapy throughout the years with gymnastics injuries and has always hoped to return as a member of the team. With experience in multiple settings, Mary-Kate loves being at the Center where she is able to see a variety of injuries and diagnoses throughout her day. In her free time, she can be found near the ocean, running around outside with her dog, at the shooting range with her dad, or travelling to new and exciting places. Joseph was raised in Hopewell, and graduated from John Jay Senior High school in 2010. He continued his education at SUNY Cortland and received his BS in kinesiology in 2014, where he was the president of Cortland’s gymnastics club making his combined experience in gymnastics 7 years. Joe then went on to receive his Doctorate of Physical Therapy at Stony Brook University in 2017. Joe has always had a passion for sports. Growing up, he was a martial artist and competed all around the country for state, national, and world rankings. He is now ready to test for his 4th degree black belt. Joe continues his education, frequently learning new techniques to help his patients return to their everyday activities and to keep them moving. As an athlete his whole life, Joe understands the importance of effective training and rehabilitation to perform at your best in both small daily tasks as well as athletic endeavors. When he’s not in the office, you can find Joe snowboarding, and going to new restaurants feeding his passion for new experiences and trying new exciting food. Sarah was born and raised in Milton NY. She graduated Marlboro high school where she played softball and ice hockey. Sarah graduated from Dominican College in 2009 with a bachelor of science in Biology while playing division II softball for 4 years. She then continued her studies at Dominican College and graduated with a Doctorate of Physical Therapy in 2012. Sarah has a strong background in vestibular and orthopedic therapy and finds motivation and gains satisfaction in seeing her patients progress in function and their ability to return to activities that they enjoy. In her free time, you can find Sarah spending time outdoors camping, playing ice hockey with her dad and brothers, as well as playing with her son Jack. John recently retired from the United States Air Force after twenty-seven years of service. John is a senior physical therapist with over twenty years of clinical experience and holds a national board certification in Orthopedic Physical Therapy from the American Physical Therapy Association. Additionally, he maintains a certification as an Athletic Trainer through the National Athletic Trainer’s Association. Dr. McGee completed his undergraduate degree at Salisbury State University and his Master’s in Physical Therapy at the University of Maryland Eastern Shore. Additionally, he completed his PhD in Rehabilitation Sciences at the University of Pittsburgh. John grew up in Salisbury on Maryland’s Eastern Shore where he met his wife Traci. They have been married twenty-five years and have one daughter and three sons. Kristin was raised in Fishkill, NY and attended Our Lady of Lourdes High School. She graduated from Northeastern University in 2015 with her Doctorate of Physical Therapy. She has pursued her passion of working with the elderly, and has found a love for helping people return to their daily lives after total joint replacements, strokes and other neurological disorders. Kristin is happy to be a part of the team at the Center where she is able to work with all ages with different diagnoses. Outside of physical therapy she enjoys spending time with her family and friends, soaking up the sun and playing with her dog. Dr. Rauh joined the Center of Physical Therapy team in 2018 and practices at the Hyde Park office. Jim is both a Physical Therapist and Athletic Trainer. He is a Board Certified Sports Specialist. Dr. Rauh did his undergraduate athletic training degree at Springfield College and his Master’s degree also in athletic training from Indiana State University. His physical therapy degree is from Hunter College. Dr. Rauh earned a Doctor of Science degree in Orthopedic Physical Therapy from Rocky Mountain University. Jim currently is also a Professor of Physical Therapy at Marist College in their DPT program. He teaches in the area of orthopedics, sports and administration/management. His academic research involves Health Informatics and the practice of physical therapy. In addition he has served on the NYS Board of Physical Therapy and currently remains active as a Judiciary Board member. Away from the office, Jim enjoys spending time with his wife, children and grandchildren here in the Hudson Valley. Christine is a graduate of New York Medical College and has worked in the field of Physical Therapy for almost 20 years. Before returning the Center for PT, where she interned as a student, Christine worked at the Castle Point VA and then was a Supervisor at the Thompson House in Rhinebeck. Christine has a strong geriatric background, as well as manual therapy and joint mobilization. She enjoys helping her patients maximize their time in therapy and return to the activities they like the most. In her free time, she enjoys spending time with her husband, Ian, daughter, Alyssa and her dogs. She also likes to travel down to the beaches of Delaware, read, and paddle board. Kelly received a B.S. Degree in Exercise and Sports Science / Athletic Training in 1993 from East Stroudsburg University. She then graduated with a Masters Degree in Physical Therapy in 2000 from Neumann College in Aston, PA. She relocated from PA to NY to pursue a specialization in pediatrics. Kelly has been a pediatric therapist at Center For Physical Therapy since 2000. Kelly’s compassion and nurturing personality has enabled her to work well with children of all ages and needs with a special interest and experience with infants. In addition, Kelly works with adults one day a week in provision of aqua therapy. Kelly lives an active lifestyle with her husband and three children. Michelle grew up in the Town of Poughkeepsie and graduated from Roy C. Ketcham High School. She went on to study physical therapy at the University of Connecticut; she graduated with her Masters in 2005. Michelle has been practicing in the pediatric department at the Center for Physical Therapy since 2007, prior to that she worked at a rehab hospital in Rockland County specializing in brain injury and stroke. She is certified in pediatric Neuro-Developmental Treatment (NDT) for patients with Cerebral Palsy and other neurological disorders. Michelle enjoys spending time outdoors with her husband and son. 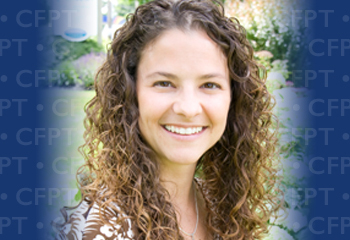 Aimee graduated from Quinnipiac University with her Master’s degree in Physical Therapy in 2009. After graduation she joined the pediatric team at Center for Physical Therapy. She is happy to be working in the Hudson Valley where she grew up and was a graduate from John Jay High School. Outside of work, Aimee enjoys spending time with her family, cooking, sewing, and yoga. Erica is a Pediatric Physical Therapist at Center for Physical Therapy. She graduated from Ithaca College with her Doctor of Physical Therapy degree in 2013. Erica grew up in near-by Orange County, NY and recently moved to Poughkeepsie, NY. Erica developed a passion for working with children at a young age while teaching ballet lessons and being a camp counselor. Her love of working with children led her to Center for PT. In her spare time, Erica enjoys the outdoors, reading and spending time with her husband and family. Hannah completed her Bachelor of Science in Pre-Physical Therapy at San Diego State University in 2013. She received her Doctorate of Physical Therapy from Stony Brook University in 2017. She has always had a strong interest in working with children. For her doctorate, Hannah completed clinical work at Carrie Tingley Children’s Hospital in Albuquerque, New Mexico, where she worked with children with various diagnoses including brain injuries, scoliosis corrective surgeries, and many other specialized orthopedic surgeries. She also completed fieldwork at HSC Pediatric Center in Washington D.C., a children’s specialty hospital, helping children and young adults gain independence through acquisition of gross motor skills. Hannah is happy to have settled in the Hudson Valley at The Center for Physical Therapy. In her spare time, Hannah enjoys hiking, traveling, and exploring new restaurants.